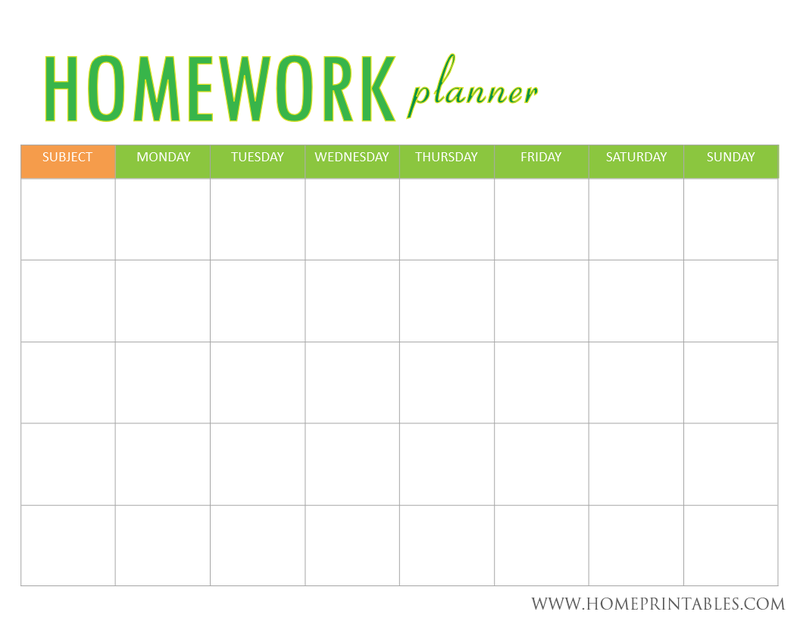 Looking for a Homework Planner? 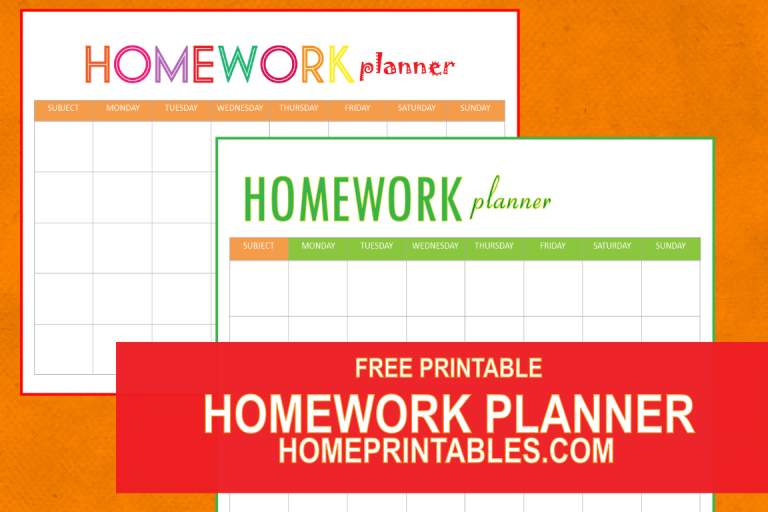 Use this free homework planner! I am happy to share our next round of freebie on the blog today: a set of printable homework planner page for your kids! I know it’s sometimes hard for our young ones to organize their time, and they need a little help, I so thought. This is why, I created a homework planner for them. Paste these planners on their work table, hang them on their bedroom wall, or insert them in their binders and they would be of great help. A tip: if you’re planning to save paper and printing, you can laminate one of these sheets so that they can just use whiteboard markers in scheduling weekly which can later on be erased and used again. =) Since they are designed for kids, are so easy to use! Here then are the planners. Simply right click the images, save and then print! 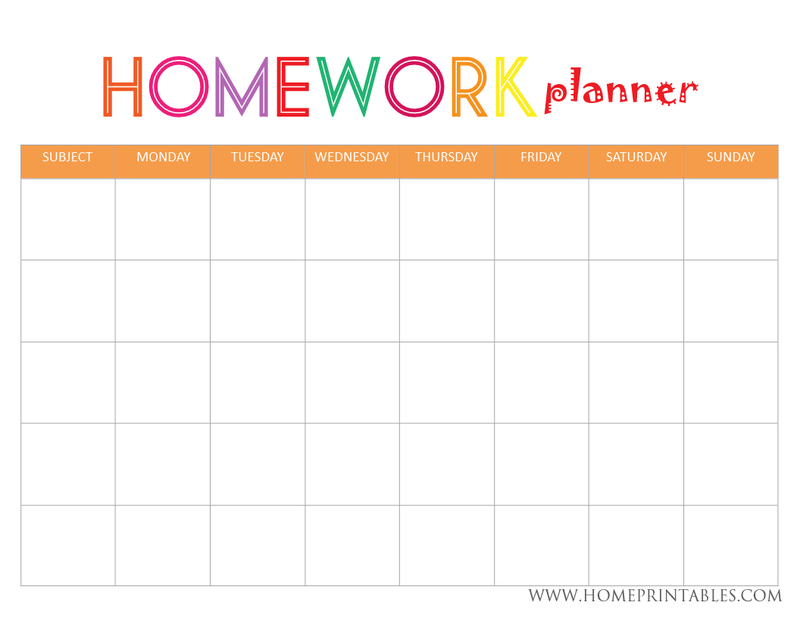 These homework planners are free for personal use only and are under the copyright of HomePrintables.com. Should you want to feature them on your blog, you may use the cover image (topmost photo) and link it back directly to this post.